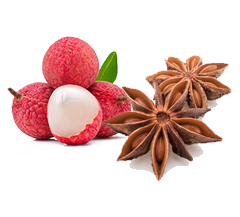 We find the typicity of the variety with fruity expressions such as lychee and mango but also spicy notes. On the palate, a rich and a little fat wine, which opens a superb palette of taste where the exotic flavors mix equitably. In the end, this wine is sweet and persistent. Perfect expression of the grape variety, this full-bodied, powerful Gewurztraminer will seduce you with an intense bouquet of fruit (mango, lychee), rose (flowers) and spices aromas. Oriental cuisine will be a good friend.